It promised so much, didn’t it? M Division clout in a small yet muscular package. An antidote to the oh-so spikey M4. A successor to the much-loved 1M. But sadly, the M2 just didn’t work out like that. There’s plenty to like about the baby M, of course. It’s playful and accessible, while still demanding far more of the squishy, fleshy bit behind the steering wheel than something like an Audi RS3. It looked fantastic too, and I always dug the exhaust note, despite BMW’s misguided attempts to enhance it electronically in the cabin. The problem has always been the engine. The fact that it’s not a proper S-designated M engine doesn’t help. 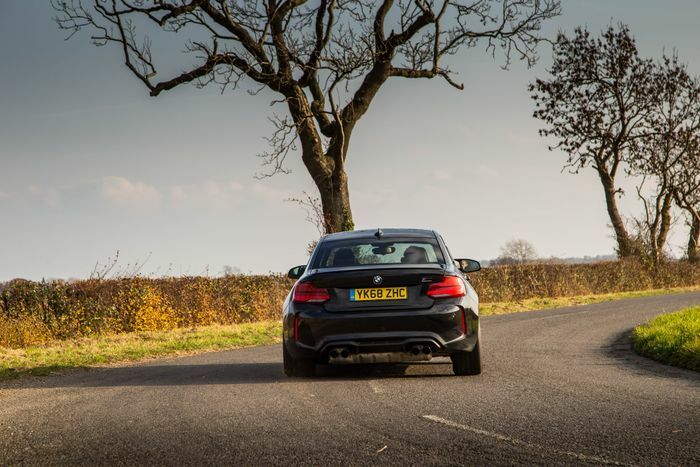 The 1M got away with the same trick because BMW made the car’s N54 lump - the twin-turbo predecessor to M2’s single, twin-scroll turbo N55 - hilariously boosty. But the M2 engine? 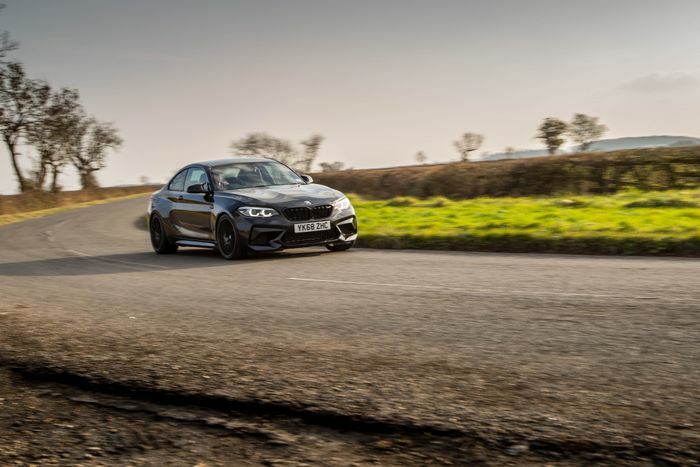 It’s always lacked drama, with its inadequacy highlighted further when BMW rolled out the punchy M240i not long after the M2’s launch. You’d think, then, that I might have reacted with delirious joy at the birth of the M4-engined M2 Competition. And you’d be right. Sort of. 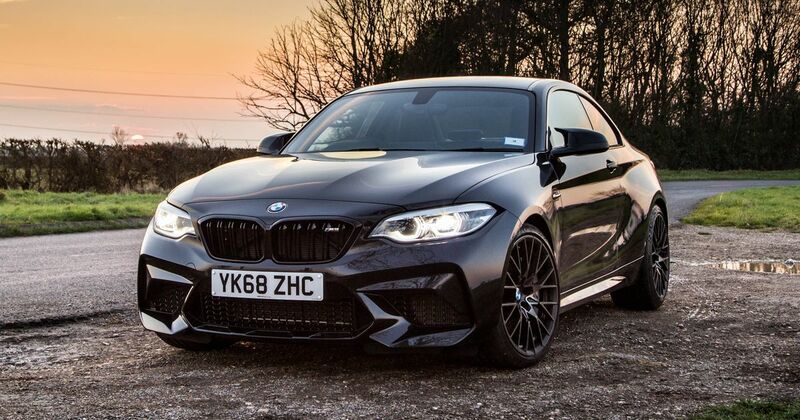 The only problem being that we’ve already had the promise of the ideal real-world M car get dashed before, so what if this new one is destined to be another missed opportunity like the standard M2? With the Comp’s Sport mode engaged and my first taste of wide-open throttle experienced, such fears were shattered, however. God, it’s a fierce thing. Finally, we have the epic mid-range thrust the old M2 - which this car replaces outright - was missing. And no longer does it peter out at high revs - you can bang that 3.0-litre straight-six around to the redline without regret. Power is now at 404bhp, up from 364bhp, while the 404lb ft figure represents a 35lb ft increase. 0-62mph now takes 4.2 seconds, a drop of 0.2sec. Doesn’t sound like much on paper, but the character of the engine is radically different. It also sounds very different, but it’s quite a harsh, angry noise at high engine speeds. In a way, I quite like it - with the giant-robot-munching-on-rusty-chainsaws nature of the din further hammering home that this fast 2er is a very different kettle of fish to the standard M2 and indeed the M240i. BMW has had a go at improving the dynamics too. 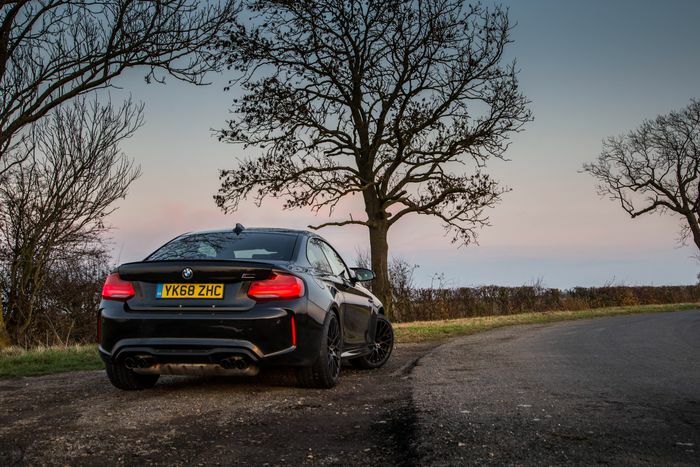 It’s been given the same carbonfibre strut brace as the M4, and the steering has been recalibrated to factor in the newfound front-end stiffness. 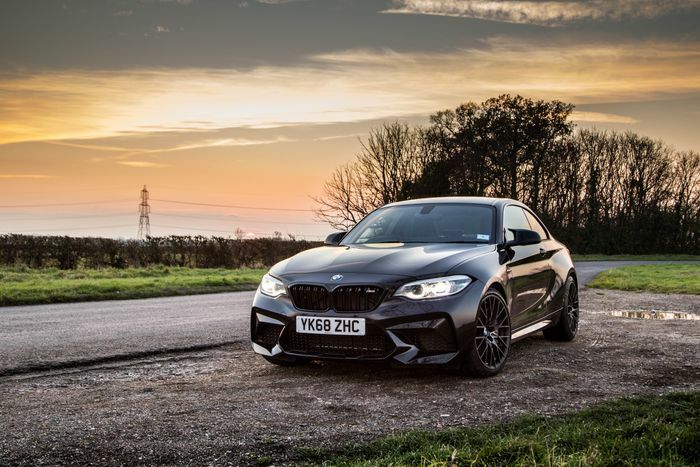 Even with the fiddling, the M2 is as approachable as ever, putting the ‘roid rage-spec engine of the M4 in a far less intimidating package. And that’s a match made in M Division heaven, surely? A manual gearbox would be our preference, and yes, one is still available, but the seven-speed dual-clutch gearbox is a good fit for the car. You just need to make sure it’s in the angriest of its three settings, otherwise it’s frustratingly hesitant to downshift. On the subject of modes, after a week of fiddling, I settled on Sport steering (Sport Plus is heavy in an unpleasant, stodgy sort of way), Sport Plus for engine response and the ESP set to the less intrusive MDM mode. The really clever trick the M2 Competition pulls off is flattering you as a driver, while still requiring you give it the attention it’s due. Grip and traction levels aren’t all that hard to reach and exceed - especially at this time of year - but whenever proceedings take a slippy turn at the rear, the Comp is wonderfully easy to manage. It’s still not perfect, however, and my other big bugbear about the old M2 - the damping - remains unresolved. It rides firmly, and yet there is more body roll than you’d expect. And it never seems to settle - you have a near-constant vertical bob. This less than ideal body control means that the car often feels heavy and leaden. It’s still miles off Porsche Cayman-levels of dynamism. While I’m moaning, it’s also worth pointing out that the interior really is starting to feel dated, especially knowing that the incoming Mercedes-AMG A45 will have a slick, screen-festooned cabin to enjoy. Regardless, the Competition makeover turns the M2 into the car it always should have been - the lairy but fun descendent of the 1M and an apple that hasn’t fallen far from the tree. And unlike the M3 CS we drove recently, BMW hasn’t even cranked up the price all that much - at £49,285 (for a manual) it’s only around £2500 more expensive than before and still cheaper than the far less engaging Audi TT RS. It’s the cheapest current M car, and it’s finally the M car to have, just as we were hoping for it to be in the first place. Could a circa £50k coupe ever be described as a bargain? In this case, I think so.